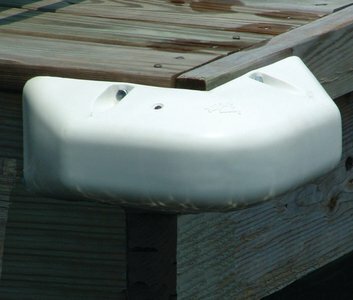 Keep your boat looking new with EasyFlex P-Profile Dock Edging. Commercial grade with a P-shape design, the double cavity with a single rib prevents the rub rail from crushing under the pressure of heavy boats. 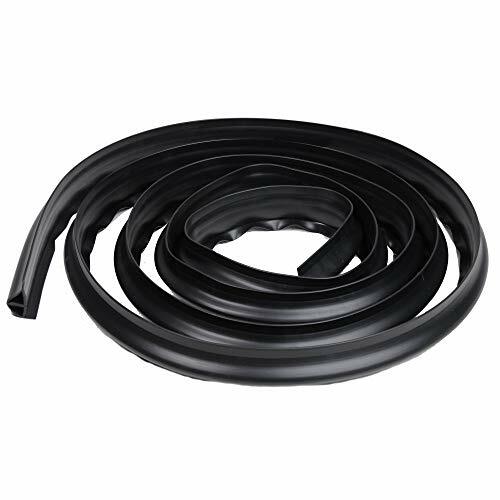 Made of recycled PVC, this 16 foot pack of black dock edging has a flat back and ledge top fitting perfectly over the edges of horizontal installations to protect your boat from scraping sharp corners and dock edges. 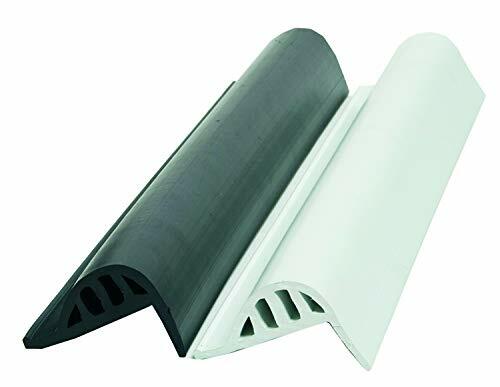 Made with thoroughly pigmented plastic, there is no skin coat on the top surface protecting your boat from color transfer, and keeping the rail from showing a different base color if it is scraped. To install: simply uncoil, cut to size with a hand saw, and anchor to dock or pier. 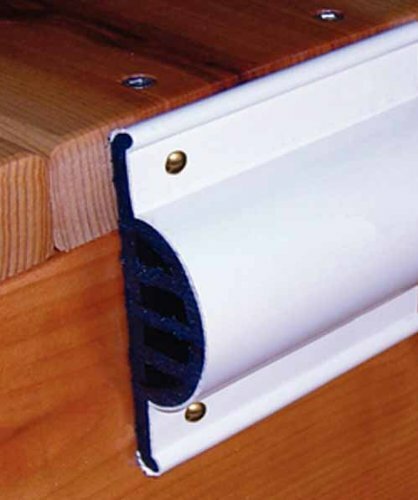 For best results, space the screws 4 inches apart on the top and bottom of edging recommended for use with EasyFlex Galvanized Deck and Dock Screws (sold separately). 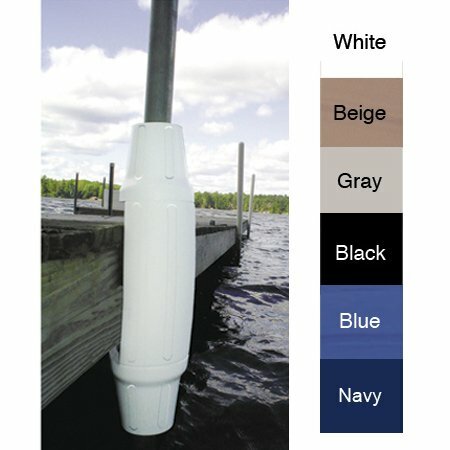 EasyFlex 16 ft. P profile Marine Dock Edging protects docks and boats from damaging impact. Brand: Dimex | Manufacturer: Dimex Corp. Wear and damage to your boat's keel can break down its protective gel coat finish, allowing water to reach and destroy the fiberglass laminates. Save your boat or watercraft from grinding sand, abrasive rocks and concrete ramps. Each product comes with easy instructions and no special tools are required. You can do it yourself or have your dealer install it for you. Every aspect of the patented Mega Ware Keel Guard has been designed with boat designers and 3M engineers. A precise, abrasive-resistant blend of polymers and urethanes achieve optimal durability and pliability. 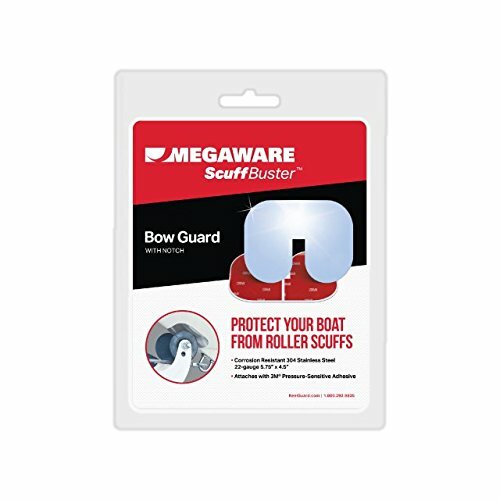 A pressure-sensitive adhesive creates strength, while permanently bonding and sealing Mega ware Keel Guard's contoured edges to the hull surface. Angled grooves produce hydrodynamic channels, creating air pockets and providing a slicker surface. The perfect combination of these factors makes the Mega ware Keel Guard the easiest keel protector to install and give it unparalleled quality and dependability. It's designed for do-it-yourself application and installs easily in an hour or less. The application kit comes with our patented burnishing tool which ensures professional results. Mega ware Keel Guard is so tough and reliable it is backed with a Lifetime No-Hassle Warranty. This is a multiple size & color item. Please select correct Cap Size and Color. 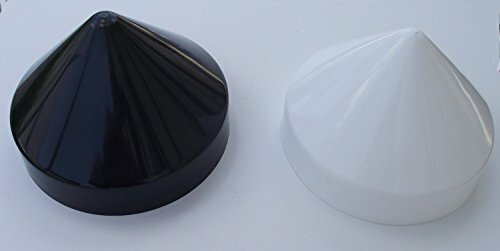 These Black or White Cone Piling Cap/Covers are the perfect touch for your marine dock, boat dock, pier or floating boat dock. 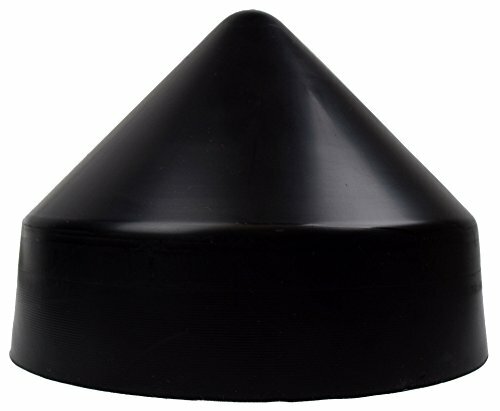 These cone style caps are made of heavy-duty pylon. The cone shaped black or white caps go over the top of the wooden marine dock posts to protect them from internal rot and damage caused by exposure to the elements and from marine life. The cone design discourages birds from landing on them. They come in black and white and in multiple sizes. Please select the correct size and color in the drop-down list. The size and color you selected above is what you will receive. We also have flat top piling caps. The size and color you selected above is what you will receive. Please make sure to measure the top of your piling. Keep your boat looking new with EasyFlex D-Profile Dock Edging. Whether docking your boat or keeping it tied to the dock during rough waters, the flexible D-shaped single cavity design prevents your boat from hitting sharp dock corners and edges. 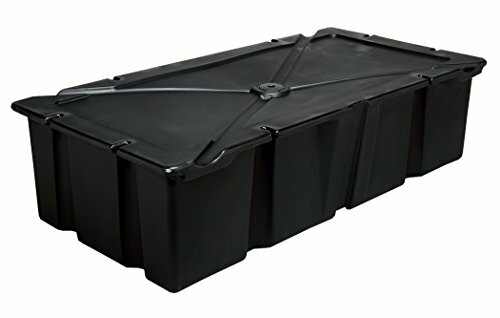 Arriving in an easily transportable box, this 25 foot roll of black dock edging is made of recycled flexible PVC and can be installed on vertical dock pylons and horizontal beams, in both freshwater and saltwater. Made with thoroughly pigmented plastic, there is no skin coat on the top surface protecting your boat from color transfer, and keeping the rail from showing a different base color if it is scraped. 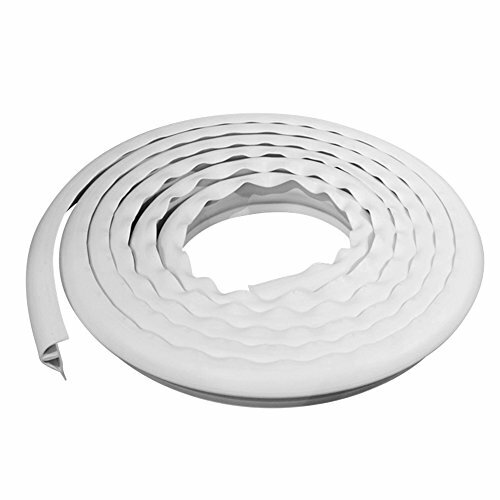 To install: simply uncoil, cut to size with a hand saw, and anchor to dock or pier. For best results, attach with EasyFlex Galvanized Deck and Dock Screws (sold separately). Dock Guard - P-Shaped Dock Builders, marinas and even a few larger boat owners asked for profiles with heavier wall sections to provide greater protection for their applications. . PRODUCT FEATURES - XCEL Dock Piling Caps provides protection against weathering, splintering, and internal rot. Made with 100% polyethylene, they withstand weathering up to 10x better than PVC caps. Years after PVC is worn out, polyethylene caps will look like new. 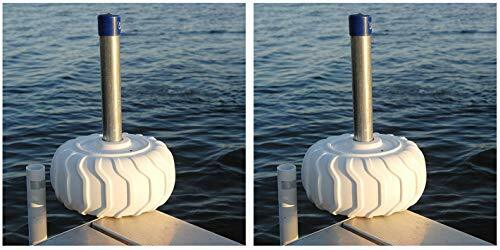 The conical shape helps prevent birds from landing on your dock pilings. Our sleek, stain free tops eliminate fungus and algae growth. They are lightwright and easy to use! The estimated life is 9 years for white, and 15 for black! PILING CAP - Our piling cap is a great way to add extra stability to poles, posts or pylons, while keeping them safe from the elements. The rubber piling cap can be placed on top of your structure and will help protect the tops of pilings from splintering and weathering. 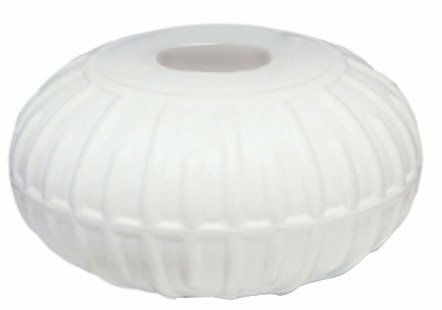 Size: 7"/8"/9"/10" Diameter Size Style: Flat Cap Polypropelene Pylon Cap for Marine Dock Posts. 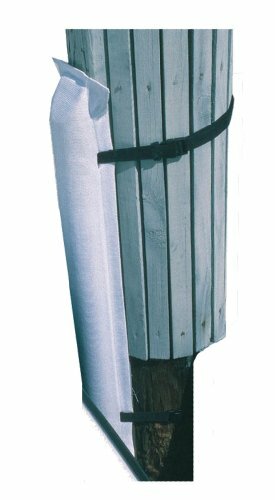 These Covers go over the top of your wooden posts to protect them from damage caused exposure to the elements and from Marine Life. We also have Black and White Colors. Comes in 7" 8" 9" 10"
Piling caps are an excellent and inexpensive way to protect costly pilings from internal rot. All HULL HUGR products are manufactured from a UV-resistant and tear-proof vinyl / polyester tri-laminate. These dock bumpers are filled with high-density closed-cell polyethylene foam. 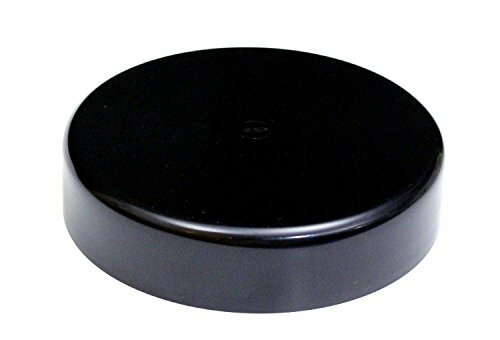 There are 4 corrosion-proof polycarbonate grommets for mounting to docks. White. Size: 36" x 6" x 4"(stainless steel grommets). This large, durable bumper adds an attractive yet functional rugged cushion to the leg pipes of your docking system. Made of rotomolded, UV-resistant marine-grade vinyl for lasting protection against scrapes and dings from protruding bolts. 18" tall. 5" dia. Fits up to 2"-diameter post. Polyester textile and closed-cell foam inner cushion, NOT vinyl, PVC or rubber. Cleans easily with liquid soap. Flexible tab system allows standard "Top-of-Dock" or unique "Fold-Over" mounting which conceals the top row fasteners. Flexible enough to mount on curves or around corners eliminating the need for additional corner bumpers. Taylor Made now offers the ultimate in versatile, durable docking protection! 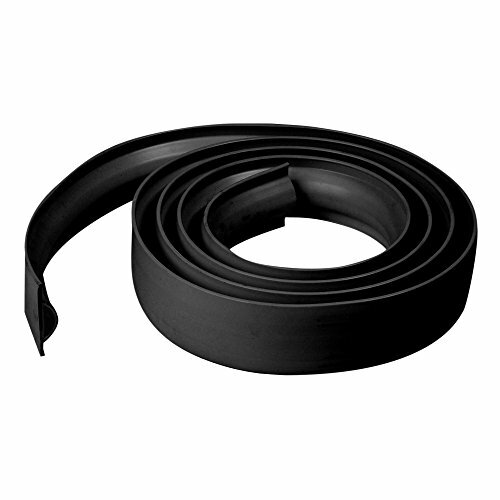 Dock Gard heavy-duty vinyl bumpers are ideal for rough conditions, and can take a beating Made from U.V. resistant, marine-grade vinyl, they provide excellent protection for your boat and dock. Straight piece can be mounted horizontally, or the curved back side allows for vertical mounting on pilings. 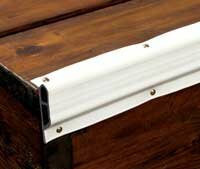 Corner piece provides superior impact protection on dock corners. Both bumpers have inflation valves for easy adjustment to desired firmness. Pre-drilled for easy, permanent mounting with plated fasteners. Bow Guard designed for boats, personal water craft and rigid inflatables, up to 30 feet. Kit Includes - KeelGuard with 3M adhesive, scotch brite etching pad, 3M primer, specially designed burnishing tool. PROTECTS YOUR BOAT from trailer rollers. FLEXIBLE to bend/conform to any boat's hull. STRONG 3M ADHESIVES for lasting protection. 22-GAUGE 304 STAINLESS STEEL makes it tough. MIRROR POLISH to look good on any boat. PROTECTS YOUR BOAT against abrasive sand, rocks, concrete ramps, and oyster beds. Eliminate costly repairs. DO-IT-YOURSELF INSTALLATION in under an hour. Application kit includes a patented burnishing tool to ensure professional results. SUPERIOR ENGINEERING ensures every aspect of Megaware KeelGuard has been designed with boat designers & 3M engineers. UV-STABILIZED COLORS don't fade or dull and last the lifetime of your boat. LIFETIME WARRANTY against abrasive wear and adhesion failure during normal use of your boat, for as long as you own your boat. Wave Armor Universal Dock Bumper Wheels are constructed of durable Commercial Grade Non-Marking poly-vinyl material and provides superior strength with unmatched quality! The Dock Bumper Wheels simply slide over any galvanized dock post, protecting your boat and dock when entering or exiting. 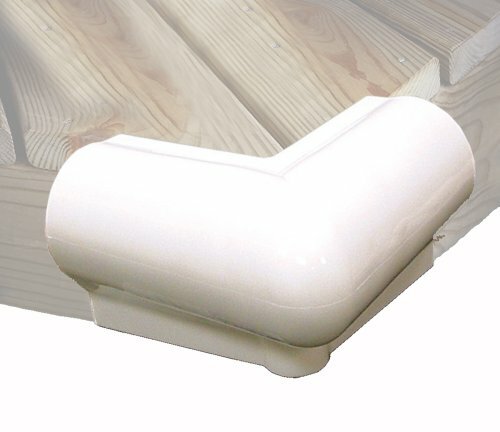 Vinyl Dock Bumper Strip 3" x 10ft All Vinyl edging is extruded from a marine-grade flexible PVC compound. We add U.V. and fungicide protection to maximize the material's lifespan. Different combinations of air chambers and wall thickness allow one of our profiles to fit any application. Available in White. Size is 3" wide by 10 ft. California Residents: WARNING Cancer and Reproductive Harm - P65Warnings.ca.gov. 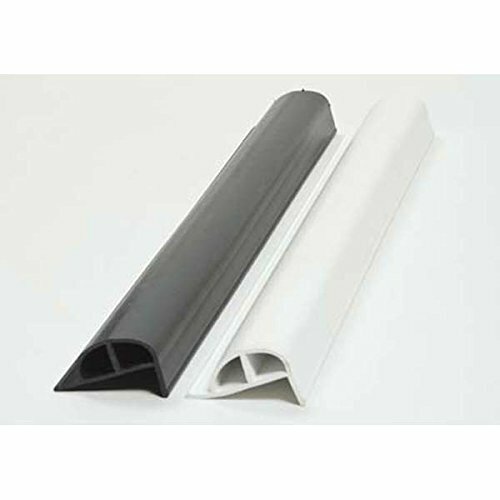 All Vinyl edging is extruded from a marine-grade flexible PVC compound. We add U.V. and fungicide protection to maximize the material's lifespan. Size is 3 wide by 10 ft.